👨‍💼Hire in Sweden? Post your jobs for free. My name’s Sergey. I have more than 5 years of experience in the sphere of commercial software development using Java/Scala. I’ve worked on various challenging projects, from banking systems and human resource management systems to online casinos. 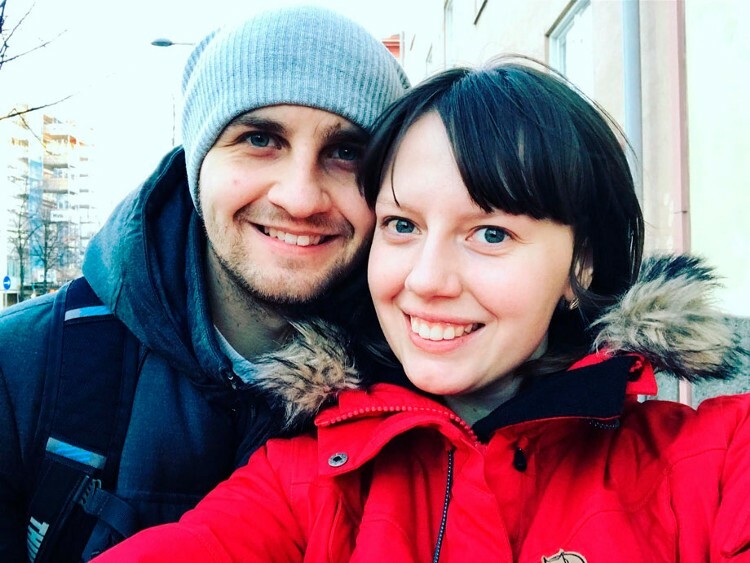 A year ago, my wife and I moved to Stockholm, having lived in Wroclaw, Poland for two years before that and originally coming from Kharkiv, Ukraine. Now I am working for NetEnt. We have more than 1,000 staff members worldwide with HQ in Stockholm. We are in desperate need for front-end and back-end Java developers as well as testers. Here’s the list of all open vacancies (Stockholm, Goteborg, Malta, Gibraltar, Kyiv, Krakow). The company helps individuals establish a work permit and relocate. Generally, Sweden needs highly qualified professionals and there are more than 90,000 openings at the moment. 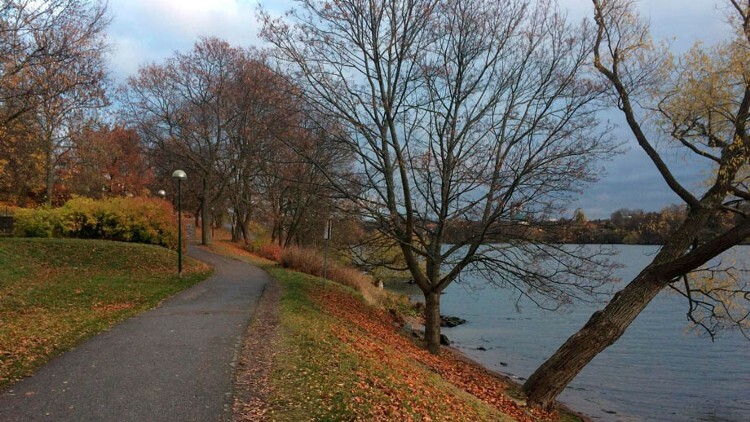 I wasn’t actually looking for work in Sweden — the work found me. In 2016, I registered on Djinni. On April 1, I was contacted by a recruiter who offered me to have a job interview at a “big multicultural gamedev company” with a possibility to relocate to Sweden. At that point, Stockholm wasn’t a part of our plan because we’d been thinking for a long time of staying in Poland, but curiosity won. Seven months later, we found ourselves in Sweden. It welcomed us with unwelcoming weather: rain and snow. In total, I went through about seven job interviews. First, there was an interview with the recruiter, where we mostly talked about me and a little bit about the company. After the tech interview, I was invited to an interview with the manager, which turned out to be the last online interview via Skype. All the next interviews were on-site. The company covered my flights and booked a hotel near the office. On-site interviews went approximately by the same scheme as online ones plus a tour of the office and a lunch with the team. About three months passed between the first conversation and the offer. Two more months were spent on preparing documents and visas. In the next two months, we were choosing an apartment and preparing ourselves for relocation. Nowadays, the whole process takes 3 to 5 months. It all started with background screening, which included a criminal background check, debt owed to banks, and a tax evasion check. We were living in Poland at the time. For some reason, the Polish government refused to provide the necessary information, so I had to collect it from the police and tax office by myself. After that, I was contacted by representatives of Deloitte, a company which was engaged in relocation support and applying to Migration Service of Sweden in order to receive a work visa. Now it is the domain of the Nordic Relocation Group, and the Nordic Relocation Group also helped us find an apartment. Unfortunately, due to high demand for accommodation in Stockholm, companies are not able to provide their staff with flats. But, if you go 35 km South-West of Stockholm, to the town of Södertälje, companies like Scania can offer you a flat for the entire length of your employment. After relocation, Nord Relocation Group helps with all the necessary things: registration at the tax service, registration at the state insurance service, and opening a bank account. Finding an apartment appeared to be the most stressful and problematic issue about the relocation process. The choices were limited, most of the apartments were old and unfurnished, the prices were high. There was no time to think, as the flats could be swiped up in days, and in some cases, even by the end of the day. What was really bugging us were those common laundry rooms and absence of an adequate bath in the majority of apartments. It turns out that the practice of common laundry rooms was established in Sweden a long time ago for economic reasons. A week before relocation, we managed to find an apartment and sign the contract. It was a one-room apartment with the cheapest furniture I’ve ever seen. 33 sq m for 12 000 SEK ≈ 1 250 EUR a month, in Kungsholmen which is considered a very good and expensive neighbourhood as it is in the city center. A couple of months later, we decided to find a bigger and cheaper apartment. This time, we were looking for it ourselves, and it took three months. During this period, we saw lots of flats: we didn’t like some of them, the landlords of others didn’t like us, in some cases, it was just that we took too long to make a decision, and someone rented the apartment earlier than us. 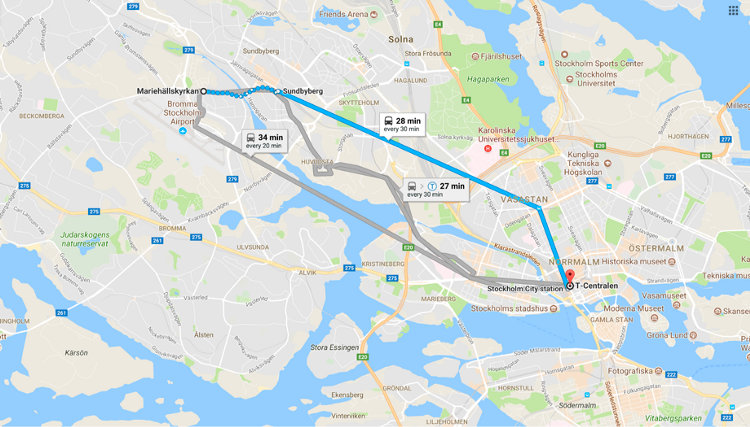 In the end, we found a 2-room apartment (1 bedroom and 1 room combined with a kitchen), in a new building, without furniture, for 11,000 SEK (1,100 EUR) a month in Bromma (also considered a good neighborhood not far from the city center) near the airport with the same name. By the way, it is planned for the airport to be demolished soon and to build residential houses in its place. It should be mentioned that, regardless of whether you rent a furnished apartment or not, there will always be an equipped kitchen and bathroom. 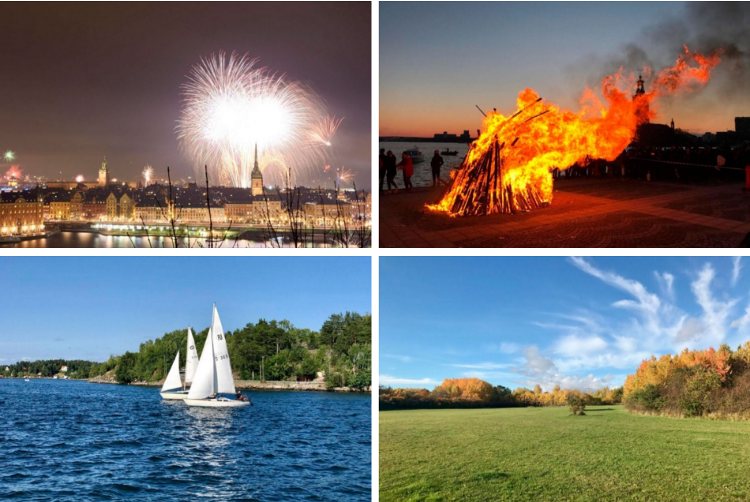 From my own experience, I can add that if you have enough money and an opportunity to rent a 45 sq m apartment (or a bigger one), Kungsholmen is the best island of Stockholm to live on. You can find the prices for renting apartments for the second quarter of 2017 below. A mini-glossary: Hyror — rent of apartment, Kop — purchase. The price is shown for a month in case of rent and for square meter in case of purchase. The prices are given in Swedish kronas. To make the calculations easier, let’s suggest that 1 equals 10 kronas. So, 11,000 SEK is a little less than 1,100 EUR. After roaming between rented apartments for 6 months, we decided to buy one on a mortgage. Because of low interest rates (1.5-2% according to Mortage Rates Sweden) you get to pay the same, from 10,000 to 15,000 SEK (or 1,000-1,500 EUR) a month. The only difference is that you pay for your own property, not somebody else’s. Things are quite easy with getting a mortgage: you are supposed to possess at least 15% of the apartment’s price. In fact, you have to have about 5% of the sum, and the remaining 10% can be borrowed from a bank on a 4-10% interest rate, but I wouldn’t recommend this as an option. When you have the money, you have to turn to your employer for a reference stating that you have completed the probation period and have a permanent job and income. After that, you have to go to a bank for a “promise” (lånelöfte) that, when you find your dream apartment, the bank will give you the 85% that you lack. It is better to write or go to several banks to see where the best conditions are offered. This is an example of a mortgage calculation for a family of two, provided both work and have a salary of 36,000 SEK (3,600 EUR) a month before tax. This means they have about 500,000 SEK (50,000 EUR) to make the initial payment. The price for the 2 people can afford is about 3,330,000 SEK (330,000 EUR), and the monthly payment can be up to 9,528 SEK (1,000 EUR). You can also divide your loan into halves, one of which will be with a fixed interest rate and the other with a flexible one. People usually look for apartments on sites like Booli or Hemnet. Don’t forget to steer clear from neighborhoods like Hjulsta, Tensta, Rinkeby, Barkaby, and Hasby. Even though apartments there cost half as much, they are mostly inhabited by immigrants from Africa and the Middle East. Then you sign up for a viewing and see the apartment. If you like it, you start making bids by texting your estate agent. The person who makes the highest bid buys the apartment. Usually, the prices go up by 10% from the initial list price. If you are lucky enough to make the highest bid, and the owner of the apartment has accepted it, the following day, before anybody changes their minds, an appointment is arranged at the estate agent’s office and the contract is concluded. Also, it is arranged when and in what way the owners get the money and when you get the keys to your new apartment. It should be said that what you are buying is not an apartment but a share in a co-op. So, before you receive the keys, the co-op management has to establish you as a new owner. At the same time, a bank representative contacts you to clarify all the details. Just like when renting an apartment, the kitchen and the bathroom are fully equipped. You can live in such an apartment for as long as you like, all you have to pay for is municipal services. It is like your own flat but, unfortunately, it can’t be inherited. To rent an apartment first-hand, you have to join a queue. The average waiting time ranges from 7 to 11 years, and can be as high as 30 years in the center of Stockholm. It depends on the neighbourhood and the number of people interested. This is why, when a child turns 18, they are enlisted in this queue. Maybe they will have their own flat by the time they have graduated. You can read more information here. I guess it’s not a secret that taxes in Sweden are among the highest in the world. But, before I explain how they work, I’ll tell you about lans and communes. All the territory of Sweden is divided into 21 lans, and you can make an analogy with states. Lans are divided into communes, each with their rules and taxes. For example, there is Sundbyberg commune, where the tax is higher by 1.3%. Thus, the simplest option is when your annual income doesn’t exceed 18,951 SEK (1,960 EUR) as such income is not taxed. 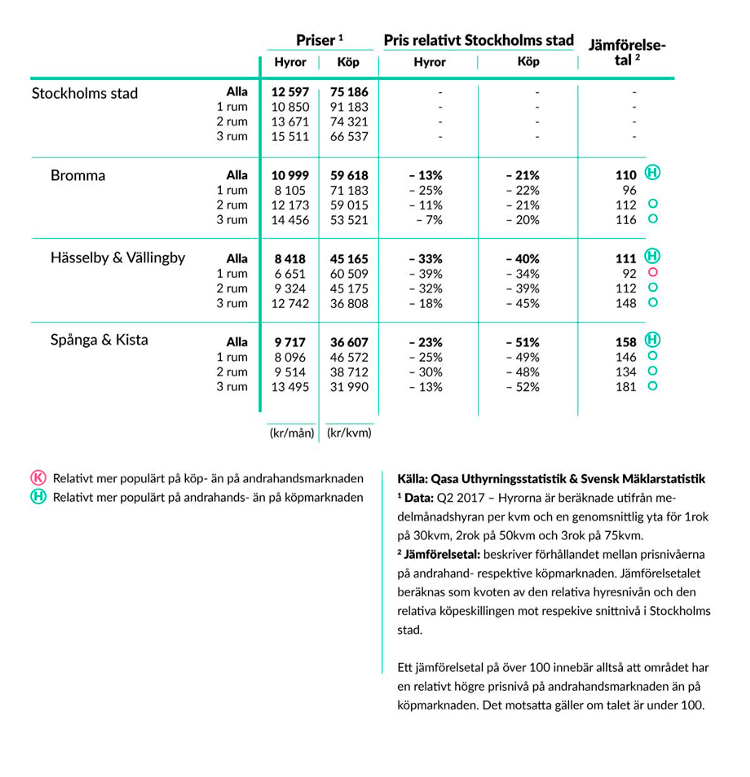 To calculate your tax, you have to add together the lan tax (12.08% for Stockholm lan) and the funeral tax (17.90% for Stockholm commune). Overall, the taxes are 30.055%. If the annual income is higher than 438,900 SEK (45,500 EUR), you have to add 20% more. So, in the end, the taxes take 30% or higher. Here is the tax calculator. Taxes can grow or decline depending on how the country’s economy changes in the future. My salary, for example, was 175 SEK (18 EUR) lower. You can read more information on taxes here. 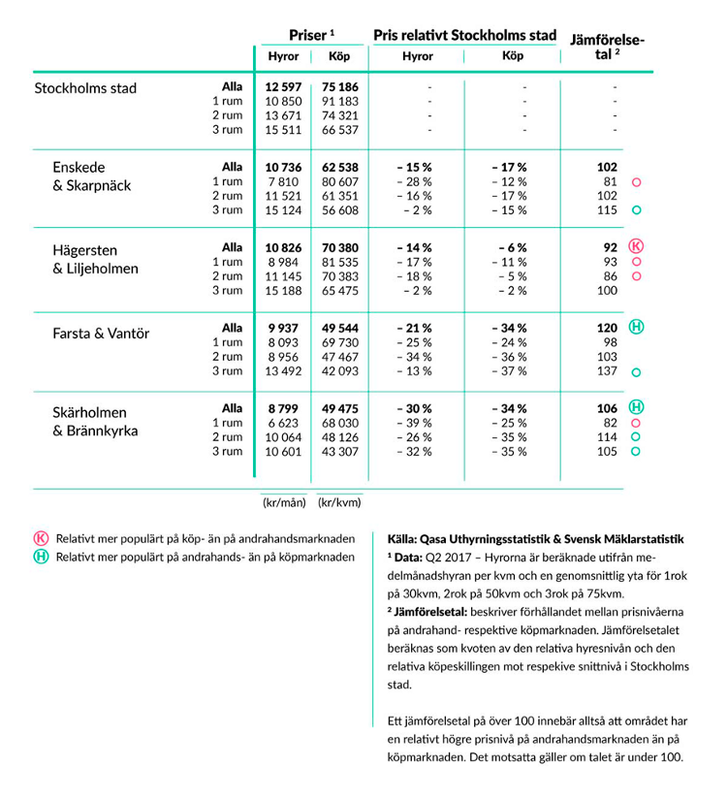 Pension in Sweden is divided into three levels. Inkomstpension, which is 16% of all income, and Premiepension, which is 2.5% from salary, constitute the basis of the pension. Nothing interesting here. However, Tjänstepensionen consists of additional allocations that may or may not be made by your employer as a bonus. You can invest this part as you prefer, buying shares or bonds. In my case, the company paid 20,455 SEK (2,200 EUR) as a bonus last year. The sum would have been much bigger if I was older than 28. Also, the sum of allocations depends on the company, and this money can’t be withdrawn. Private pension is the allocation you can make yourself. It is recommended to put aside 3–5% of your salary. The company I work for cooperates with financial consultants such as Max Matthiessen. They give us advice on where to invest the part of our pension (Tjänstepensionen) and make forecasts about its size. The average salary in Sweden is 32,800 SEK (3,400 EUR), which makes 25,355 SEK (2,650 EUR) after taxes. 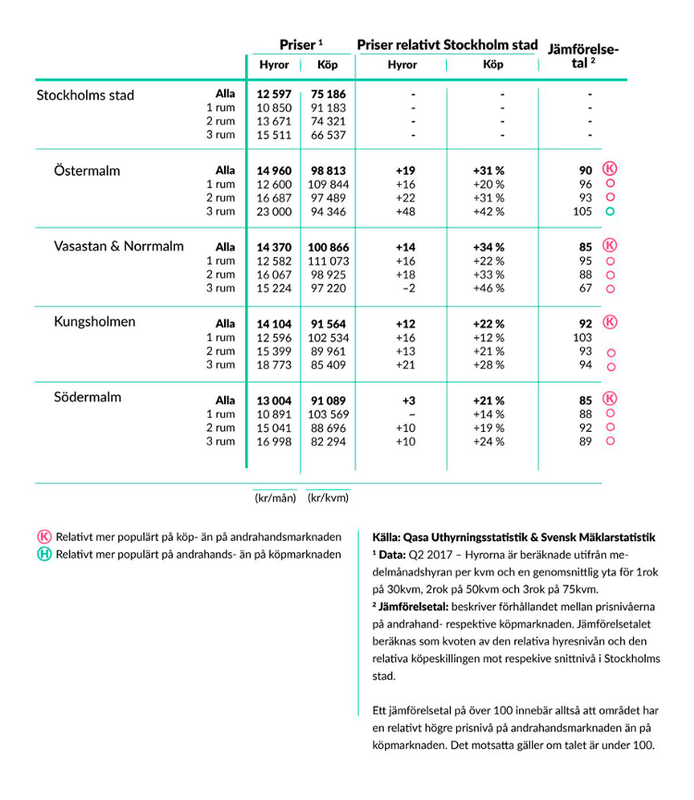 The salaries in the IT sector range from 35 000 SEK to 55 000 SEK. They depend on age and work experience. Food in Sweden is very expensive but is of really high quality at the same time. 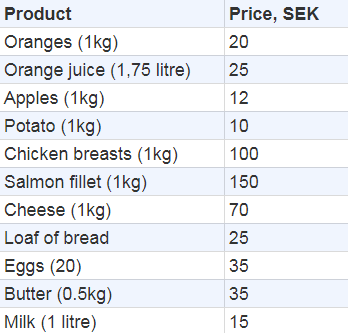 The reason why Swedish food is more expensive than imported food is the high state standards on it. I’ve made a short list of different foods and their prices. 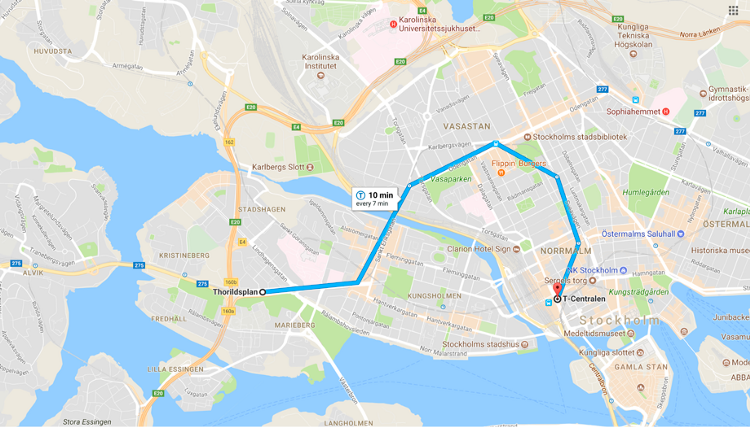 Travel passes cost about 830 SEK (85 EUR) a month and allow you to travel around all Stockholm lan on any kind of transport, and the number of rides in unlimited. Home insurance covers a lot of things, even stolen bicycles or broken phones. Insurance is mandatory for all house owners. Membership in the engineer labor union costs 330 SEK (35 EUR) a month, per person. The union pays unemployment compensation, provides relevant information on salaries, makes contracts with various companies. This, in turn, enables you to get discounts, for example, 0.5% while issuing a mortgage. The first work permit is issued for two years provided you work for the same employer and in the same industry. In other words, if you change jobs or industries within these two years, you will have to have your work permit issued again. The second work permit is given for the next two years, but this time you don’t have to stick with one employer, just with one industry. The third one is issued to you for two more years, without any limitations. And a year after this, you can apply for a long-term resident status. If you have a resident status and have lived in Sweden for 5 years, you can apply for citizenship and have no more job-related concerns. And, a work permit allows your spouse to work too. In case you lose your job, you have three months to find a new one. For those who don’t know, a Blue Card is, in general, a work permit for an EU country. It is considered that getting a Blue Card is extremely beneficial for highly qualified workers as it provides, for example, a work permit for the spouse and, in case you lose your job, three months to find a new one. Also two years later, if you relocate to another EU country, these two years may be taken into consideration while issuing permanent residence in this country. As you can notice, the conditions are quite similar to those I’ve described earlier for a usual work permit. 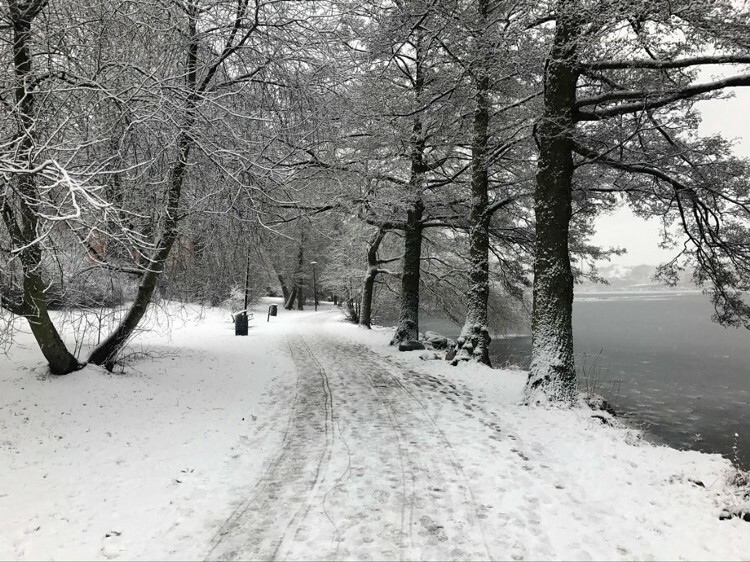 The thing is, the color doesn’t matter in Sweden. A Blue Card works well in countries like Germany, Poland, and a number of others, where it really makes a difference. Here’s an interesting article on the topic: Tech Crunch — Sweden Is A Tech Superstar From The North. The Swedish IT market is actively developing. Every year, new companies and startups are established, for example, Spotify, King, Klarna, Mojang, TrueCaller, iZettle. Stockholm takes the second position in the European Digital City Index (EDCi) rating and is one of the most suitable cities for opening a startup. You often hear stories about how someone leaves their job at a profitable/stable company to join a startup, or to open their own. Apart from startups, there are a lot of big companies such as Assa Abloy, AstraZeneca, Telia, Electrolux, Ericsson, Volvo, Skanska, Atlas Copco, H&M, ICA — and these are only the ones founded in Sweden. Google, Facebook, and Amazon are actively investing in Sweden by opening new data centers and branches. Medium-sized companies that combine both the stability of big companies and the dynamics of startups should be mentioned too. Here you can find a company for any taste. You can find information on annual incomes, current situations within companies, and their CEOs here. It is not typical for Swedish people to get married and have children at a young age. At 30, they are still in search. Usually, they have kids after they are 35. It is traditional for parents to share parental leave, which lasts for 480 days. Moms normally take 70% of the leave, and dads 30%, which is definitely good both for parents and for children. In general, the idea of equality is strongly promoted by the government, which shows. In the majority of companies, there is a 50/50 initiative that aims to have equal numbers of male and female workers. Swedish people are quite shy and reserved. They respect private space, so try not to bother anyone. But if you make friends, Swedish people turn out to be extremely friendly. Shop assistants rarely offer their help. If you need to find out something, you will need to find them first. The Swedish never sort things out or get personal. If a car is parked the wrong way, they won’t make a scene, they’ll just call the police. The situation will go similarly if somebody makes noise after 22.00 on a weekday or 23.00 on the weekend. Of course, it all stays within a reasonable range, and no-one will actually call the police after just one such accident. But if this happens again and again, it is quite different. Swedish people love lines. You can find electronic lines almost everywhere, but even without them, everyone knows who follows whom. It is vitally important to be honest as honesty is a remarkable trait of the Swedish mentality. It’s better to be honest than respectful. Sweden is an international country, which makes it so attractive for immigration. People here are accustomed to immigrants and treat them well. It even seems sometimes that it’s better to be an immigrant than a local here. You can live here without knowing Swedish. All people speak English, but I’d recommend enrolling for a free Swedish course (SFI: Swedish For Immigrants) paid for by the government as it’s worth it. Knowing the language will help you blend into society. Also, at the classes, you can learn something new and interesting about Sweden. Sweden is the third largest country in Western Europe. 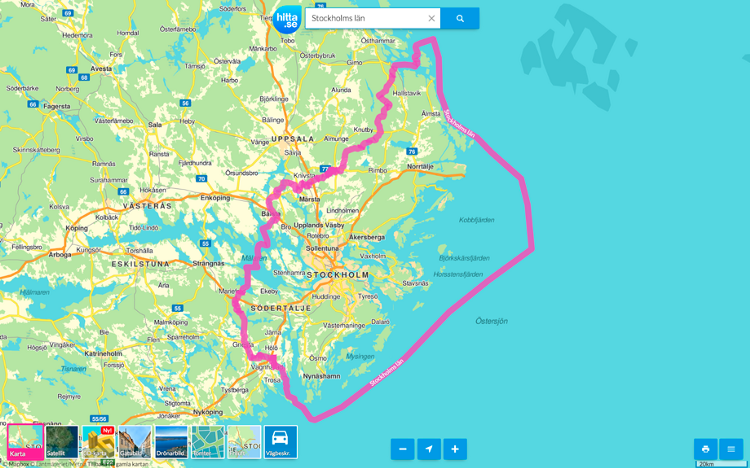 However, there is one peculiar thing: Sweden is stretched from the North to the South. Luckily, Stockholm is closer to the South, and the temperature in winter hardly ever goes lower than -5°C. Of course, it can get as cold as -15 for a couple of days but this is a very rare occasion. You should remember that daylight in Stockholm in winter is about 2 hours shorter than in Western Europe. But Swedish people have found ways to fight gloom: candles, coziness, cinnamon rolls and lights on the windows. As it is often said in Sweden: there is no such thing as bad weather, only bad clothes. Healthcare in Sweden is hardly different from that in other European countries. If there is a bad accident or a threat to life, professional medical care will be given. In any case, staying at home, drinking hot tea with lemon and taking care about yourself is what most doctors recommend. Education: 9 years of mandatory secondary education. Most students study for 12 years, which include “gymnasium” — the analogue to high school in Ukraine. About a third of them go on to study at universities and colleges. Swedish passport: takes 3rd place in Global Passport Power Rank 2017 and provides visa-free entry to 157 countries of the world. In conclusion, I would like to say that Sweden, like any other country, has its advantages and disadvantages. It can appear completely different for you, and it’s alright. Personally I think that the advantages of Sweden full compensate its disadvantages. You can find a lot of interesting things at the official site of Sweden. And some more about our life in Sweden on Instagram. A minimum base salary for relocation starts at € 30000 per year, while more leading roles (architects, team leads) can bring you gross annual income of € 70000, without bonuses. Stockholm, as the second most visited city in the Nordic countries, is the largest city and the capital of Sweden. Some people call this city as “Venice of the North,” because it is situated on 14 islands, which are connected by 57 bridges. Stockholm is a safe city by international standards, but the most amount of crimes are against tourist (pick-pocketing, bicycle theft, auto theft, and auto vandalism). This city is the cultural, political, economic center of Sweden with good quality of research and higher education. There are over 1000 restaurants and more than 100 museums in Stockholm. Gothenburg, as the second largest city in Sweden, is well-known for being a friendly place that welcoming everybody. Furthermore, there is the largest university in Scandinavia in Gothenburg. That's why this city is a home to many students. Gothenburg is also famous for hosting the largest annual event in Scandinavia — Gothenburg Film Festival.